Compassion employees are actually compassionate people, too. Before going to Ecuador I assumed meeting the children would be a delight, but I never imagined to be so deeply moved by another group of people: the employees of Compassion. Without exception, each of the Compassion employees I met was fully committed to their mission of releasing children from poverty in Jesus’ name. That spoke volumes to me. In America, hard work was once valued, but that concept seems to be eroding from a pursuit of comfort, the saturation of entertainment, and a sense of entitlement. On the contrary, the people I met that worked for and with Compassion were the epitome of servants. Andrea, a Compassion employee and mother of two who worked tirelessly to keep our group on schedule while simultaneously translating for us and coordinating 1,000+ Christmas presents. I called her my "Ecuadorian" Andrea (since my wife is also named Andrea). 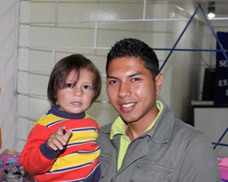 Omar, another Compassion employee who translated for us and who takes sponsors to meet their kids for home visits. Omar was yawning constantly—not from boredom, but from lack of sleep from his hard work. Pablo, also a translator for Compassion, told me how he not only translates during visits but in addition translates 300-500 letters from sponsors each week, getting paid $0.34 per letter. I was thankful for his ability to express what I could have never said in Spanish. He shared his testimony of how his father was electrocuted (40,000 volts which should have killed him) resulting in Pablo’s anger at God. 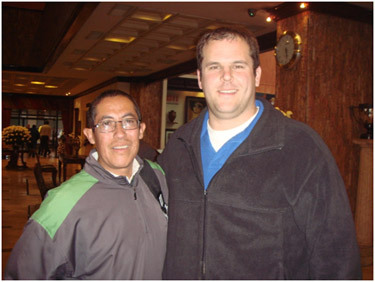 Pablo was convicted not from the healing of his father (which took 6 months) but through the patience and forgiveness of God, resulting in his life-long commitment to serving Him. Little Pablo, another translator, is a young father who also translates not only for visitors but for sponsorship letters to the children. 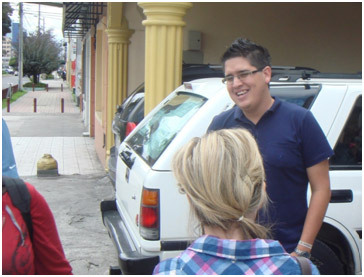 Fighting a cold all week, Pablo’s commitment and heart were evident as we visited the churches. Given the challenges and chaos that can be found in a developing country, I was floored by just how well Compassion’s operations function in Ecuador. It rivals any Fortune 500 environment, and the work and focus we saw on display at the country’s main office was not only encouraging, it was innovative. They are constantly working to improve their efforts, and with over 300 projects impacting 55,000+ children, it’s evident that they’re working very hard to do so. We met communications experts, auditors, accountants, and many others who work to ensure that the sponsorship program is reaching its full potential. One of the things that stood out to me was the transparency of the program. Each project is required to keep receipts, tracking income streams and purchases for each child, and keep meticulous accounting. Each project is audited both internally and through a 3rd party to ensure all funds and efforts are properly directed. None of this is easy, especially in a country where basic utilities and infrastructure can be a challenge. That’s why it gave me a great deal of relief to see just how well tracked all of the financial contributions are handled and channeled. The people I met that worked for and with Compassion were the epitome of servants. But at the very end of the sponsorship chain are volunteers, teachers and tutors who get paid minuscule amounts to educate and mentor the children — and they’re wonderful. 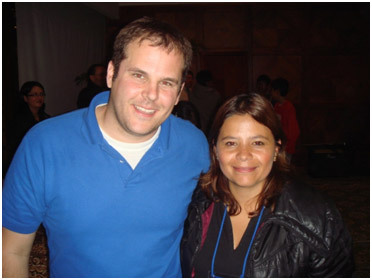 I met "Rosa," a volunteer who had been teaching the teens at her church for 10 years. Others in our group met a tutor who was the "mother" of a 13 year old boy who was raising his 12 year old sister by himself. I can’t forget Eddie and his brother; two young men who visit mothers and their newborn children—8 of them each day for an hour each—to help ensure they are developing properly as part of the CSP program. Their pay? $100 a month. They were incredible servants. The employees’ salaries are good for the economy there, but the volunteers make very little. There’s no glory in these roles. These are people who are doing kingdom work in some very difficult places, but through their work and sponsorships from people like you, Compassion is making an incredible difference in the lives of these children. "Compassionate People" by Ben Steed is licensed under a Creative Commons License. Heartlight encourages you to share this material with others in church bulletins, personal emails, and other non-commercial uses. Please see our Usage Guidelines for more information.